The deadly deep freeze enveloping the Midwest sent temperatures plunging Wednesday to rival some of the most frigid spots in the world, triggering widespread closures of schools and businesses, and the canceling of more than 1,600 flights to and from Chicago's airports. Temperatures in parts of the Midwest were lower Wednesday than in Antarctica, where the Amundsen-Scott South Pole Station hit negative 25 degrees (negative 31.7 Celsius) — balmy compared to Fargo, North Dakota's negative 31 degrees (negative 35 Celsius) and Minneapolis' negative 27 degrees (negative 32 Celsius), according to the National Weather Service. 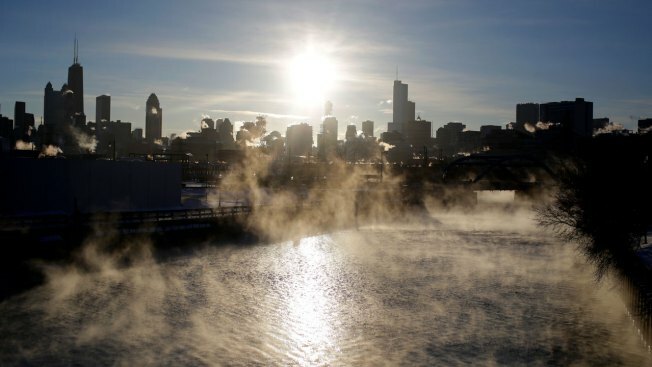 People enduring the frigid temperatures have turned to social media to share images and videos of life in #Chiberia — a portmanteau of the words "Chicago" and "Siberia" - Though warnings from experts across the area have been to remain indoors during the dangerous cold. From boiling water turning into instant snow to ice creeping into homes to exploding soda cans, here are some of the quirky experiments — and real-life struggles — of the Polar Vortex's wild effects. Scenes from a Midwest train commute: This is the inside door of the @amtrak Wolverine route. Chicago to Pontiac.